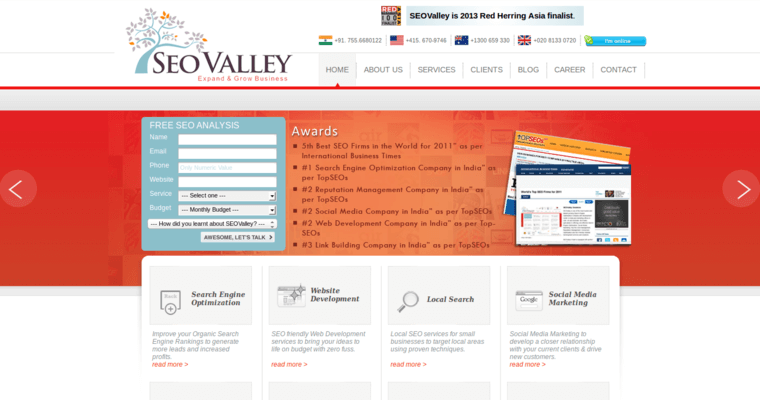 SEOValley is a well-renowned company founded in the year 2000, and has built a rock-solid reputation as one of the most highly-rated and best decorated firms in the world when it comes to digital marketing solutions. SEOValley has achieved this status by promising extremely high-quality work -- they maintain their status by delivering on those promises. SEOValley promises that their clientele remains ahead of the curve with regards to the always-evolving landscape of search engine algorithms. This firm's level of experience speaks for itself -- SEOValley boasts an illustrious portfolio of over 5,000 satisfied clients in a wide variety of industries, a fact that speaks to their versatility. With a global reach, SEOValley can get the job done. Development centers and marketing offices across many countries from the USA, UK, New Zealand, Spain, and Australia allow SEOValley to provide a personalized focus on their clients that clients know and trust.